Vinyasa yoga classes use linked asanas (poses) with the breath to create a flowing series of movements. Creating unity between the two necessitates the focusing of the mind until there is room for only the breath and the movement – no thoughts of the past or the future can sneak in. On a physical level, establishing a regular vinyasa yoga practice will create strength, flexibility and harmony in your body. A vinyasa yoga practice leaves you feeling relaxed and energised in mind and body. 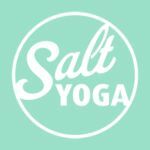 This class is most suitable for those with some yoga experience (beginners please get in touch to discuss suitability).